Which Option in MS Project – Task Type vs Effort Driven? If you are not sure which option to use then I recommend Non Effort driven as a default. This option prevents changes to Task Durations and/or existing Resource assignments as Resources are added or removed from a task. * Select Fixed Units for activities when the Units per time period must stay constant as either the Duration or Work is changed. For example, a crew of 1 Excavator and 3 Trucks must stay constant as the Duration or Work is changed. * Select Fixed Duration for activities when the duration must not change as either resource Units per time period or Work is changed. * Select Fixed Work if you wish the Work to stay constant as the duration is changed. The Task will be made Effort driven automatically with the Effort driven option grayed out. For example, a programmer assigned full-time for a week will have 40 hours’ work. When the duration is doubled to a week, the programmer will work 50% of the time over 2 weeks but still work 40 hours. If you assign another person to help then the total Work will remain at 40 hours and the Duration not change. The default for new Tasks is set in the Tools, Options…, Schedule tab. Click on the icon and new projects will have these as their default options. 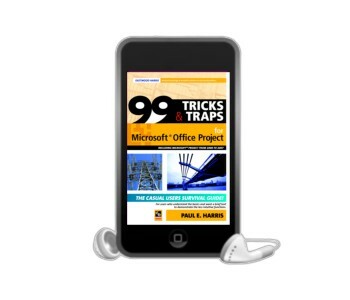 Microsoft Project Training Melbourne – What Are Negative and Free Float Bars? The Gantt Chart Wizard, available by clicking on the icon or selecting Format, Gantt Chart Wizard…., is a straightforward method of formatting your bars but will not format and display the Negative Float (Slack) and Free Float (Slack) bars. – Selecting Format, Bar Styles…, or double-click anywhere in the Gantt Chart area except on an existing bar (this will open the Format Bar form to format an individual bar). – Negative Float is generated when the Late date is calculated earlier than the Early date and represents the amount of time that the schedule must catch up or how much earlier a project must start to finish on time in Melbourne. Setting a Late constraint or Deadline date earlier than the calculated Early Finish date normally causes Negative Float. – Free Float is the amount of time a task may be delayed without delaying a successor task. Note: Unlike some other some software, the Negative Float is drawn from the Start Date of a task and not the Finish Date. Therefore one bar is required for Negative Float and one for Positive Float. Microsoft Project Training Tips – Which Calendar is the Task Using? Ever Set a Task in MS Project but Forgot Which Calendar the Task is Using? v Finally check the Resource Calendar for holidays. v When NO Task Calendar and NO resources are assigned, then the Project Calendar is used. v When a Task Calendar is assigned and there are NO resources assigned then the Task Calendar is being used. v When Resources are assigned and NO Task Calendar then the Resource Calendar is used. v When Resources and a Task Calendar are assigned, then the commonly available time from both calendars is used to schedule the task. v When Resources and a Task Calendar are assigned and the Scheduling ignores resource calendars is checked, the Task Calendar is used. Note: A common mistake is assigning a task an edited task calendar, then at a later date assigning resources without editing the resource calendars to match the task calendars and not realizing that the task durations no longer calculate the same. Each resource is created with its very own editable calendar. v Each new resource is assigned a copy of the current Project Calendar as its Base Calendar. v This Resource Base Calendar may be changed in the Resource Sheet or Change Working Time form to another Base Calendar. v Any change to a Base Calendar will be reflected in any Resource Calendar. v The Resource Calendar may be edited to suit the availability of the resource. Days may be made non workdays to represent holidays, etc. v Normally the duration of a resourced task calculated from the Resource Calendar. v A task will finish at the end of the longest resource assignment when there are two or more resources assigned to a task that have different end dates due to different Resource calendars or assignment durations. v When a Task has been assigned a calendar and the check box in the Task Information form Advanced tab Scheduling ignores resource calendars is checked the task duration is then calculated from the Task calendar. v The Finish date may be calculated differently after a task is assigned one or more resources when the Resources Calendars are not the same as the Task Calendar. The Risk Level may be used to sort and filter Projects and EPS Nodes. The Project Leveling Priority is used when leveling a project to reduce peaks in resource requirements. Value of 1 is the highest and 100 the lowest. Check Out Status enables the user to determine if the project is checked in or checked out (New to Version 4.1). Checked Out By and Date Checked Out enables the user to establish if the project is currently checked out. Selecting Format, Bar Styles…, or double-click anywhere in the Gantt Chart area except on an existing bar (this will open the Format Bar form to format an individual bar). Negative Float is generated when the Late date is calculated earlier than the Early date and represents the amount of time that the schedule must catch up or how much earlier a project must start to finish on time. Setting a Late constraint or Deadline date earlier than the calculated Early Finish date normally causes Negative Float. Free Float is the amount of time a task may be delayed without delaying a successor task.